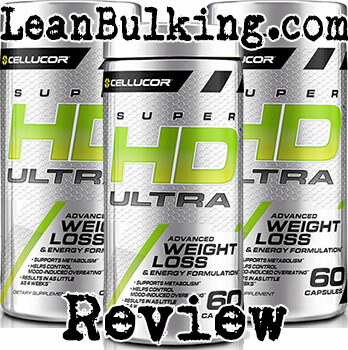 Cellucor SuperHD ULTRA Review | Expert Fat Burner Analysis | Worth it?? SuperHD Ultra is a fat burner supplement made by Cellucor. It usually costs $49.99, but at the time of writing this review it's being sold for $29.99 for 60 serving containers. Now, this is a lot of servings for this price. 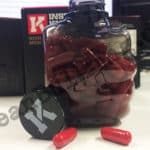 But one small issue we have personally is that SuperHD Ultra only offers 1 capsule servings per day; we prefer having overall dosages split into 3-4 servings spread throughout the day, so you don't get 1 big hit of caffeine at once, but this is our honest opinion. Apart from that, SuperHD Ultra seems like a great product for the price. We'll expand on this in the next section, but first we'll tell you more about the company behind it. If you know about supplements, then you'll know about Cellucor. 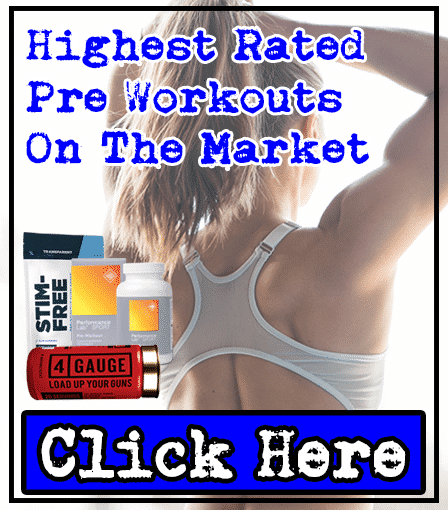 They're a big name in the industry and have become a reputable brand through their popular products - particularly their C4 line of pre-workouts. However, after the release of their 'SuperHD' line of supplements, they've been gaining recognition for their fat burners too. So let's see whether SuperHD Ultra can become our favorite fat burner on the market. In terms of ingredients, we're happy with what we see; SuperHD Ultra contains 5 carefully thought-out nutrients, and for the most part, they're tried-and-tested to work. We're especially pleased that Cellucor has added 3 key fat burning ingredients such as Green Tea & Green Coffee Bean Extract, and Caffeine Anhydrous. But since this is a review, we always look for what could be improved. Personally, we would have liked to see an ingredient able to suppress your appetite included, such as Glucomannan, but this is just our honest opinion. Anyway, we'll take you through each ingredient inside SuperHD Ultra. 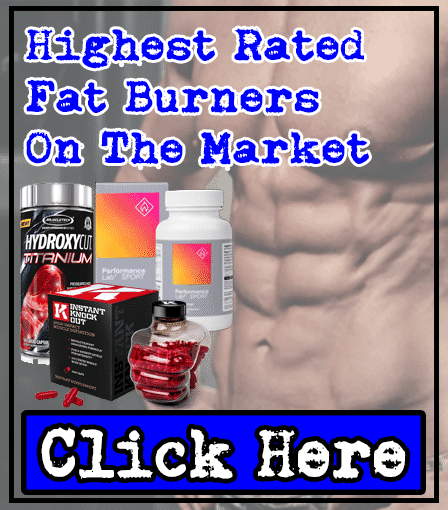 By the end of this review, you'll have a good idea of how safe and effective this fat burner really is. In case you're wondering, these beans are the same that are used for roasted to make the coffee that most people around the world consume daily. So why is it called 'green'? Well, this is because coffee beans are green in their unroasted form. Studies have shown that green coffee beans contain higher amounts of chlorogenic acid than in their roasted form; this is what is responsible for raising your metabolism and helping you burn fat faster than before. For this reason, we consider Green Coffee Bean Extract to be a key addition to any fat burner supplement. Great start by Cellucor here. This is a patented version of Cissus Quadrangularis. We won't lie to you, this is the first time we've seen this ingredient in a supplement before, so we had to do some research ourselves. What we found was that Synetrim CQ is designed to decrease your estrogen levels, which would have a positive impact on your metabolism. As a result, we find it strange that Cellucor has added an ingredient aimed at women, in a non-gender orientated fat burner supplement. Whether this is a good or bad thing will be dependant on whether you're going through menopause, so we'll leave it up to personal preference. 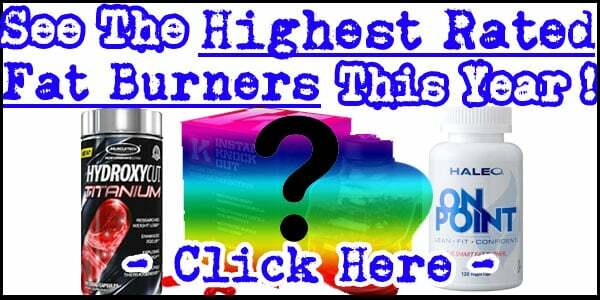 Caffeine Anhydrous is the best stimulant you can find in supplements such as fat burners. This is because it's a pure form of Caffeine, which is great when keeping an eye on your exact intake (to stay safe and avoid jittery side effects). In case you're wondering, 'Anhydrous' simply means that Caffeine has been dehydrated into powder form, so it can be added into supplements. Anyway, we're glad that Cellucor hasn't added a big dosage, as it only offers 1 capsule servings per day. However, we usually recommend that you consume under 100mg per serving with fat burners. However, 125mg per serving isn't going to cause any side effects. The only issue is that it might give those sensitive to Caffeine too much of a boost of energy for everyday activities. But this also makes it a great option to take before your workout. 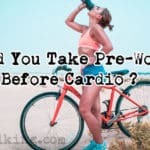 Personally, we'd rather consume a pre-workout supplement before a gym session. But SuperHD Ultra seems likely to give you an energy boost too. You might be wondering why Cellucor has added the root of a flowering plant into its fat burner. But it's because Dandelion Root Extract is a diuretic; this means that it encourages you to pass more urine, helping you lose water weight. However, we always believe that companies should make it clear that a product contains a diuretic. Why? Because it can fool you into thinking you're losing body fat, when really it's just water weight, and when you stop taking the diuretic, your body will increase its water retention again. 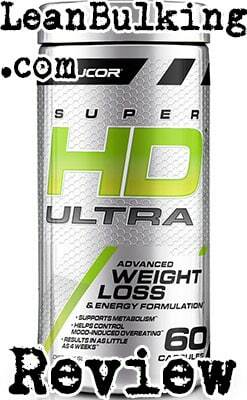 The good news is that SuperHD Ultra contains proven thermogenic nutrients such as Green Tea Extract too. So Dandelion Root Extract can be seen as a great 'bonus' to have in this fat burner - just remember to increase your water intake to keep yourself hydrated. Green Tea Extract is one of our favorite ingredients when it comes to fat burning; it's proven to increase your metabolism and help you burn fat faster than normal in countless studies. In fact, Green Tea Extract is also known to benefit almost every organ in your body - not bad eh? For this reason, we consider Green Tea Extract to be a key nutrient in fat burner supplements. The only issue we have, personally, is that SuperHD Ultra only contains 50mg; we believe that the most effective dosage of Green Tea Extract is 500mg per serving, making this dosage small for our personal preference. However, we're still glad that SuperHD Ultra contains this fat burning ingredient, as many other companies have failed to include it. The good news is that SuperHD Ultra doesn't contain any ingredients likely to cause side effects. 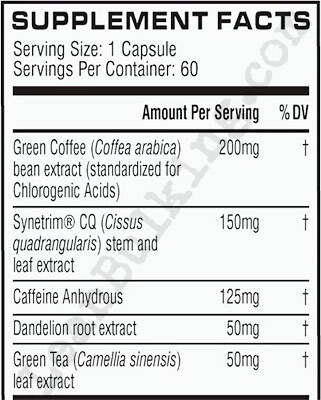 Even the slightly big Caffeine Anhydrous dosage (125mg) won't cause jitters, but it'll be sure to give you a 'kick'. But remember that Dandelion Root Extract is a diuretic that'll help you lose water weight; we recommend that you increase your water intake to keep yourself hydrated as a result. Apart from that, we'll repeat that SuperHD Ultra seems to be side-effects-free. Ultimately, SuperHD Ultra is one of the best fat burner supplements we've seen from Cellucor; it contains some great thermogenic nutrients such as Green Tea Extract without any being hidden in proprietary blends. 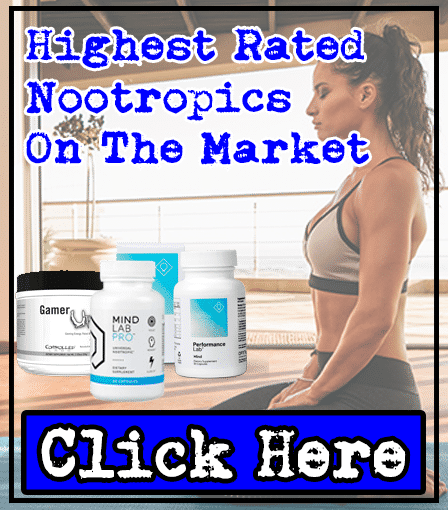 The only ingredient we're unsure about is Synetrim CQ; we've never seen this ingredient in any supplement before, and we couldn't find many studies to prove whether it works or not (and on the ingredient website, it seemed aimed towards women who are going through menopause). We would have also preferred to see an ingredient able to suppress your appetite too, as reducing your calorie intake can be equally as effective as raising your metabolism. However, for the most part, SuperHD Ultra seems like a respectable fat burner supplement. SuperHD Ultra contains some great ingredients in mostly good dosages. 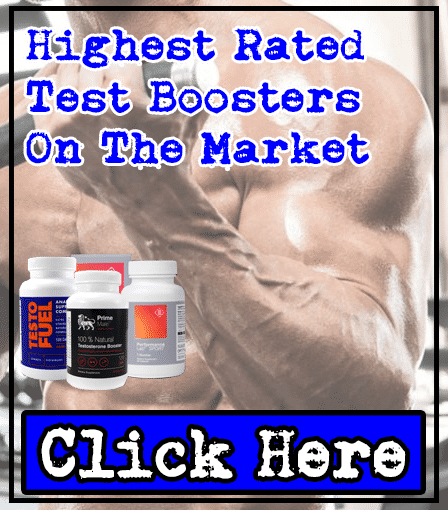 However, as it’s missing nutrients able to suppress your appetite, we think it’s missing that extra ‘wow’ factor to enable it to compete with the highest rated fat burners available.